A delicious accompaniment to celery and carrot sticks, sliced red, green and yellow peppers, smeared on a sandwich base or merely sitting along side a mouth-watering salad bowl, this is so easy to make and you can make it as crunchy or as smooth as you like. Dawn: This is so simple and tasty to make…I’ve been nibbling on celery sticks dipped into this gorgeous burnt orange coloured yummyiness as I’m writing this recipe! Place all the ingredients in a food processor and blitz them together until they are a consistency you prefer. Dawn: It really is this simple! Try it and see for yourselves. Andrew: I don’t mind if I do! Thanks, Dawn. Dawn: Simple to prepare and make food, packed with taste and goodness. The aspect I like the most about preparing and making food is I know exactly what ingredients have gone into everything. Often, the ingredients will make a much larger quantity than if I’d bought a similar product in a shop and my recipes are full of tasty deliciousness that mass produced food is all too frequently lacking. For more easy-to-make recipes, follow the Love Food team at www.forfoodlovers.wordpress.com either via email (your email address is safe and we take privacy very seriously) as well as daily doses of food insights, inspirational ideas and thoughts, and the odd cat photo or two on Twitter @Love_Food_UK. Love Food are also on Facebook and Mumsnet, too. And let us know what you cook and how it goes, please: we love to hear from you. 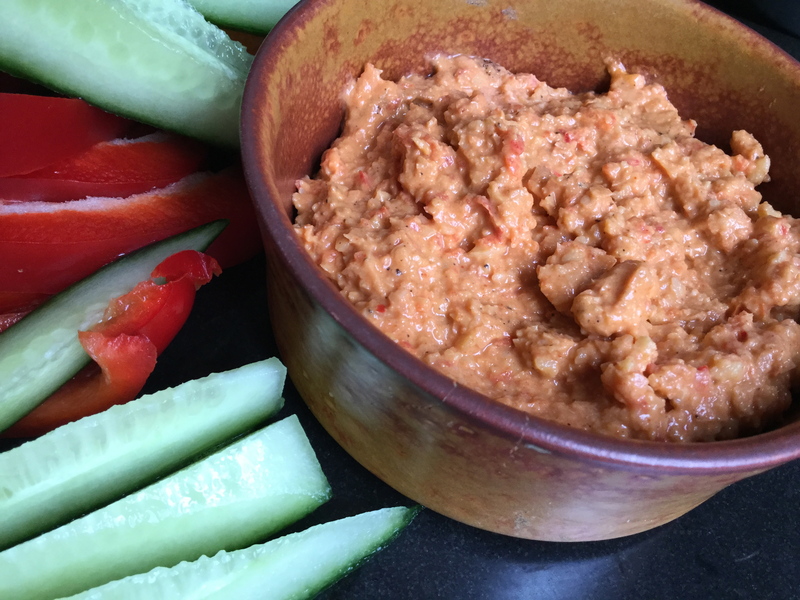 Posted on March 23, 2016 by Love Food UK	• This entry was posted in Food, Snacks, Starters, Super Salads, Vegetarian and tagged easy to follow hummus recipe, easy to make hummus recipe, hummus recipe, Red Pepper and Paprika Hummus. Bookmark the permalink.